Upon my arrival, I participated with an Orientation for a REU group at the laboratory. Through this relationship, I found a network of resources including fellow visiting researchers, an ID card, and a great mentor who helps me with administrative issues. Then, I met the senior scientists that I will collaborate with on my research project. These mentors include the director of the lab and local professors. These mentors have been essential in bringing me up to speed on the technology behind wind energy, which is not studied at Reed College. Thanks to their generous help, my research can really thrive. Originally, I planned on studying both wave and wind energy. The wave energy experiments, however, are not available. Since wave energy is a new research area, it suffers from many technical issues. Consequentially, I will focus solely upon wind energy. 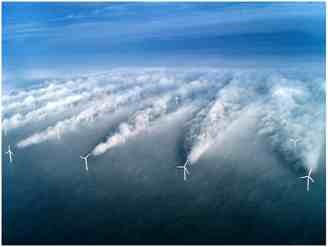 I will specifically study the structure of the wakes that are cast behind wind turbines. As wind moves past a turbine, it becomes slower and more turbulent. 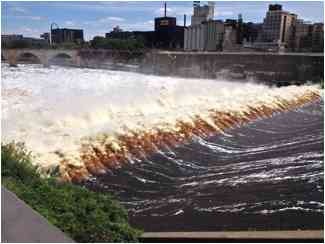 If this wake then runs across a nearby turbine, it will interfere with that turbine’s productivity and longevity. One cannot, however, merely distance turbines far away from each other, because that would increase land, installation, and maintenance costs. Researchers must investigate how to balance these costs and benefits. So, I will research these turbine wakes in order to discover ways to design more efficient wind farms.